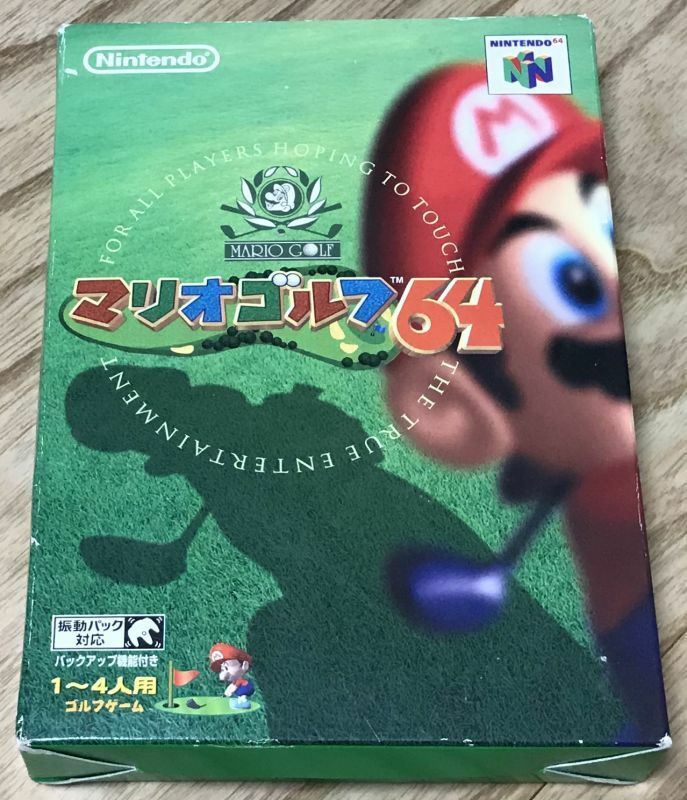 Mario Golf 64 (マリオゴルフ64) is an excellent lighthearted golf game for the Nintendo 64. Can be played without knowing any Japanese. The game has been tested and plays great. The photo uploaded is of the actual game I am selling. 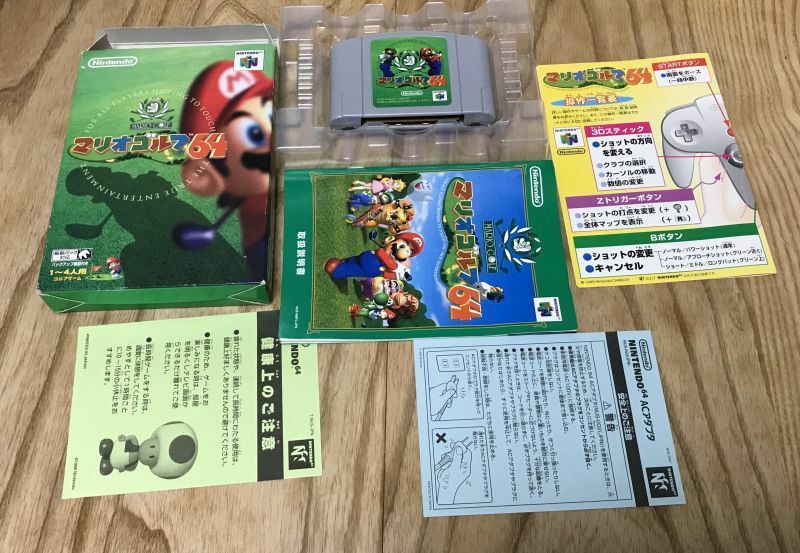 Make sure that you have the necessary hardware to run Japanese Nintendo 64 games before bidding. This cart will not run on an unmodified US/PAL system. 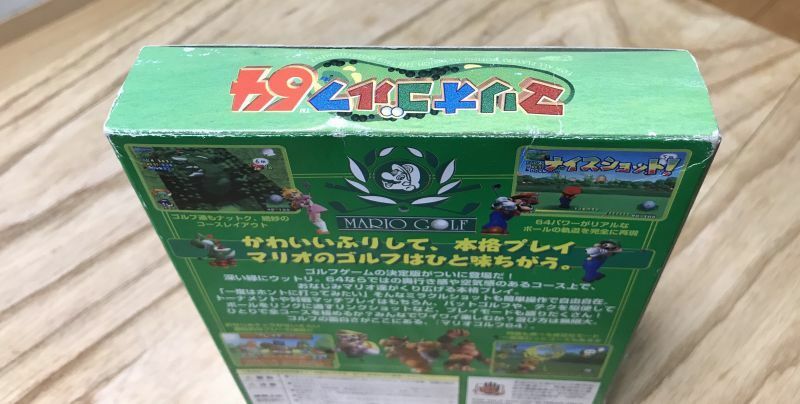 You will need a Japanese N64 or a pin converter for a US system. 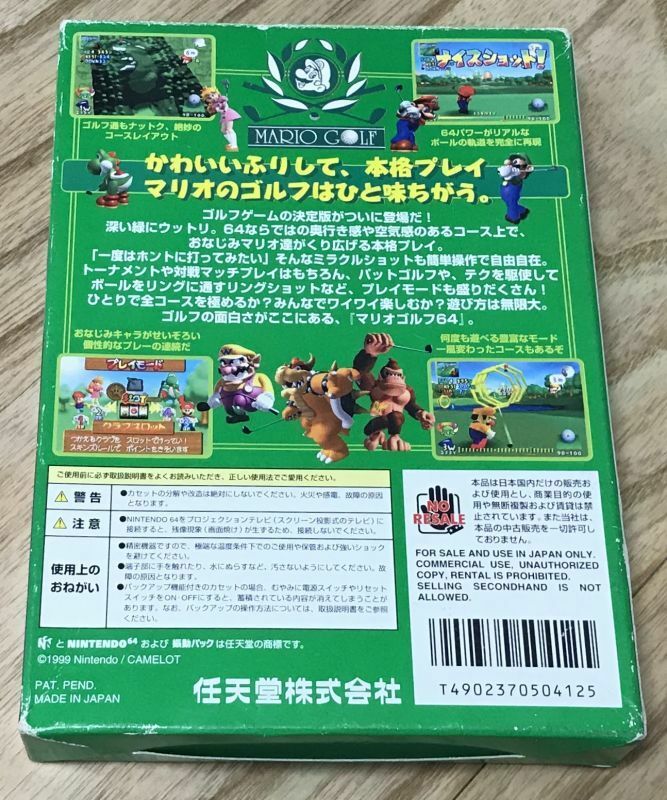 Games will be wrapped in a removable plastic sleeve and then placed in a bubble wrapped mailer for shipping. 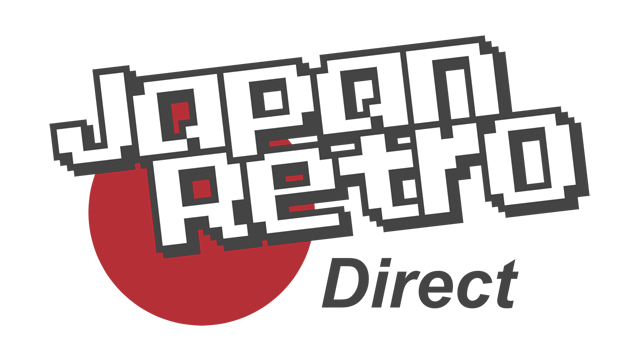 Please remember, the games will ship from Japan so please allow some additional shipping time. Also during Japanese postal holidays (New Year's, Golden Week, Obon) orders will be delayed while the post office is closed.